← ‘Goodbye’ to Rev’d Julia! A selection of photographs of the arrangements from this year’s Flower Festival. 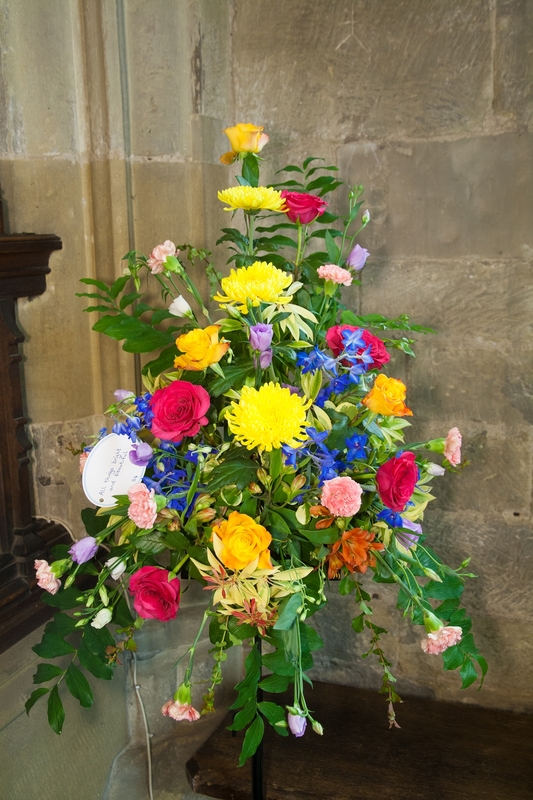 Alnwick was bloomin’ lovely this August with the return of the Flower Festival featuring the work of floral artists from around the area and held this year at St Michael’s Church. 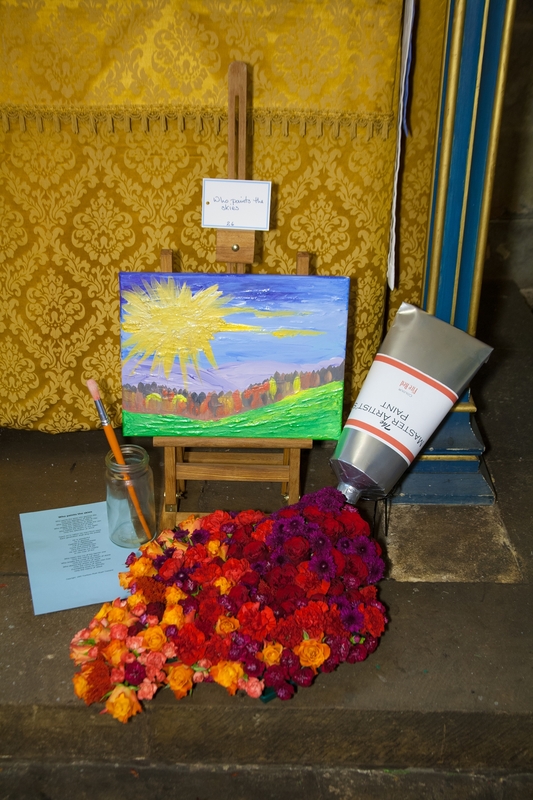 From the 3rd to 6th August the ancient church of St Michael’s was ablaze with colour as over thirty arrangements, large and small, decorated the interior, including displays from The Alnwick Garden and from a former exhibitor at Durham Cathedral. The cool interior of the church was an oasis of calm, filled with the sights and scents of summer, a place to rest and a place to relax. The theme of this year’s Festival was “Leisure” and the Festival aimed to be a place to enjoy a lazy summer day. Even a blushing bride or two was spotted among the blooms, as two weddings were held during the Festival! As well as flowers, Alnwick’s Embroiderers’ Guild (part of a national organisation emphasising, among other things, the therapeutic nature of embroidery) showcased their skills with the needle with a leisure-themed work of art. Alnwick Flower Festival began with a Preview Evening on the 2nd August where the Archdeacon of Lindisfarne, the Venerable Peter Robinson, opened the festival, and ended with a community sing-song, where Alnwick’s most popular hymns were chosen and sung as part of an ecumenical church service at which all were welcome.